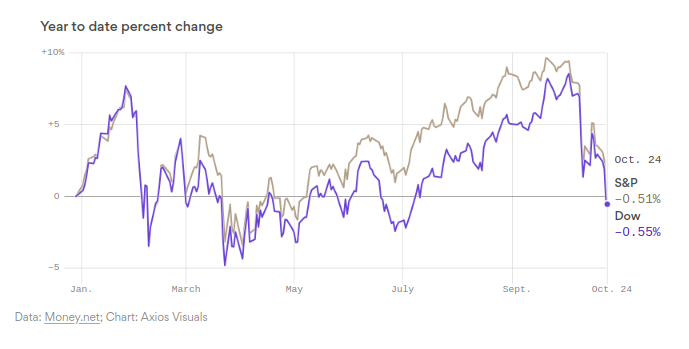 The Dow Jones Industrials Average fell more than 600 points, while the S&P 500 dropped 3% and the tech-laden Nasdaq Composite closed down over 4% on Wednesday. 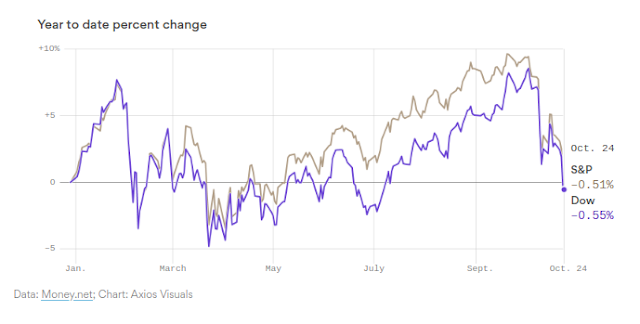 The big picture: The Dow and S&P 500 erased all of this year's gains. The Nasdaq is officially in correction territory, which means it has fallen 10% from its high set in August.